Warner Bros. has officially announced the untitled Harley Quinn Vs. the Joker movie that will see Jared Leto and Margot Robbie reprise their roles. Glenn Ficara and John Requa, directors and executive producers for the NBC drama, This is Us are reportedly in the final negotiations to write and helm the project. The news comes just 24 hours after Warner Bros. Announced that they were making a standalone Joker origin story, which is expected to take place outside of the DCEU. Since the standalone movie would not be within the DCEU, Leto will not be attached, which is for good reason since he will be starring in his own Joker movie alongside Harley Quinn. 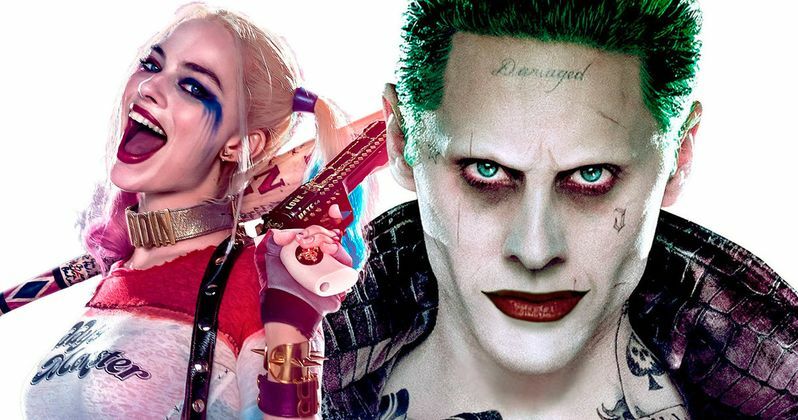 The news comes to us via The Hollywood Reporter and they also say that the Joker and Harley Quinn movie will take place after the sequel to Suicide Squad, which begs the question: do we really need another Suicide Squad in our lives? Regardless, the movie is officially happening and it's sure to add a bunch of confusion about these two new movies that will include the Clown Prince of Crime. The movie is being described as, you guessed it - a "criminal love story." The new movie, unlike the Joker origin story project, will take place within the DC Extended Universe alongside The Batman, which actually might not be a part of the DCEU either... Confused yet? DC and Warner Bros. seem to be jumping the gun here yet again by setting up a new universe that will be outside of the DCEU while simultaneously trying to retool the upcoming Justice League movie and trying to figure what exactly Matt Reeves' take on The Batman will be. All of this news seems a little premature, but Wonder Woman seems to have gotten DC and Warner Bros. all hot and bothered about making a slew of new movies.